Chinese New Year and what it means for AliExpress shoppers. Chinese New Year and what it means for AliExpress shoppers. Chinese New Year marks the day of the turn of the traditional lunisolar Chinese calendar – the new moon in the middle of the winter solstice and the spring equinox. This year’s awaited Chinese New Year falls on 5 February comes before two weeks of Chinese New Year celebrations. This is the time of the year most businesses in China close down and people travel to their home town to celebrate. The banks are also temporarily inactive, so it will take more time than usual to process the payments and any financial transactions. Post offices, transportation hubs and shipment services are also out of operation, so the delivery time for orders placed during this period will be much longer than usual. This has a lot of consequences for AliExpress shoppers and you should know about this. Between Feb 5 and Feb 12 most stores are closed and will not even answer questions. From Feb 12 onwards stores will reopen, but suppliers may still be down until Feb 20. Ask the sellers to write their exact period of being on vacation, and ask when they expect to get back to work. Importantly, some suppliers might not even be based in China. 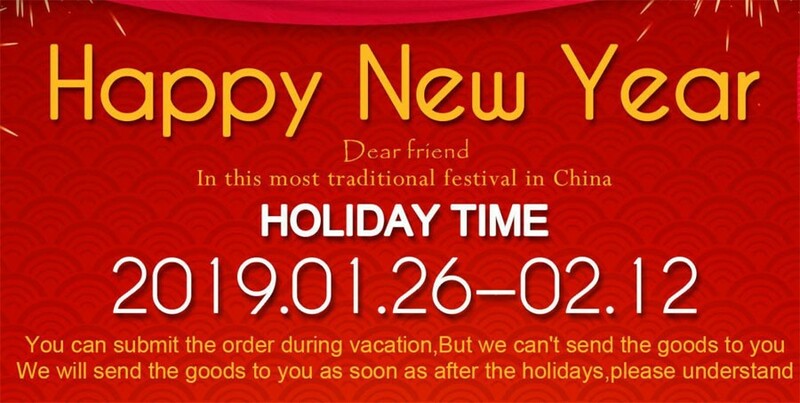 As non-Chinese suppliers wouldn’t celebrate the holiday, there might not be any delay at all with certain products on Aliexpress store. The year of the pig is coming! Happy Chinese New Year! In 2019, the Chinese New Year celebrates the year of the pig, which foretells gaining wealth in 2019, which is more likely to come true with the proper planning for the new year. Chinese New Year may be the biggest holiday but there are actually several other Chinese holidays that could have an affect on your business.